Some time ago the bureaucrats in Brussels decided that some new regulations were needed regarding the transport of gases under pressure. They decided that each gas should have its own individual tank valve fitting, so that the wrong gas could never be put into a particular cylinder. There was already a DIN fitting for use with air cylinders (DIN being the German standards body), so they decided to stipulate an entirely different fitting for use with air mixes with a higher content of oxygen than normal – nitrox or oxygen. They came up with the M26 valve thread, with a larger diameter than the now familiar DIN fitting. 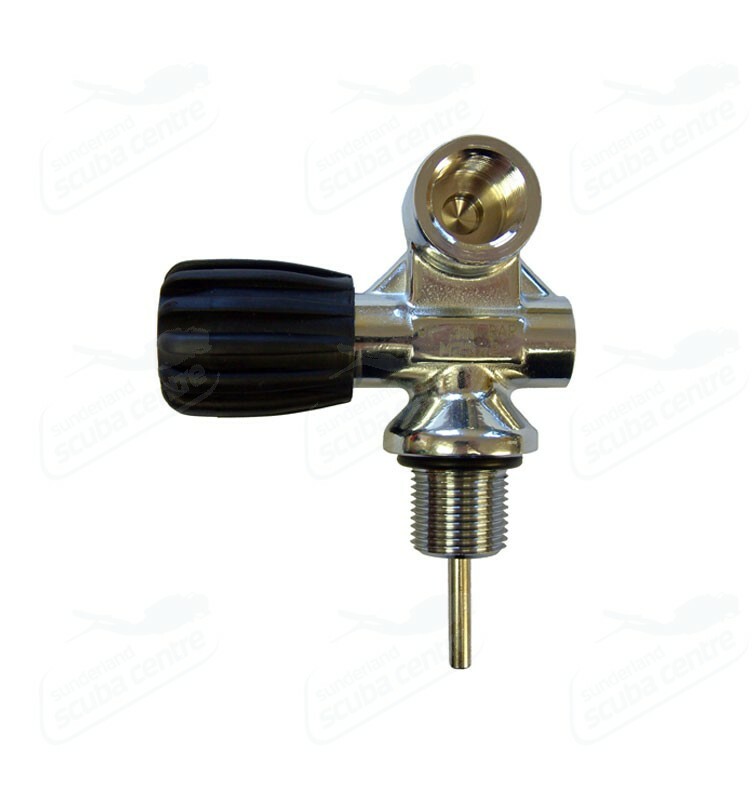 This is the type of scuba cylinder valve that must be fitted to any new cylinder that is going to be used with any gas greater than 22% oxygen, this is a European directive that came into force in August 2008. These valves will match any regulator supplied in the European Union which has been designated for use with gas containing an oxygen content greater than 22%. In simple terms if you buy a new set of regulators for nitrox use they will come with a M26 fitting and if you buy a new cylinder for nitrox use then it will come fitted with a M26 valve. It looks similar to the Din type of valve, just slightly bigger. The valve should have the information stamped or etched on the valve itself. It is important for recreational scuba divers, technical divers and rebreather divers travelling outside of Europe who have these M26 regulators to recognize that this directive is purely within Europe. When you travel to other continents i.e Africa, Asia etc it is strongly advisable to check with the diving operator to ensure that either; there are tanks available with M26 threads or they can supply an adaptor. In many countries outside of Europe it is very difficult even, on some occasions not possible to purchase the specific M26 tanks or adaptors. 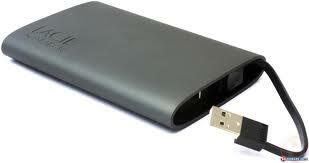 If this is the case you will need to remember to take with you your own adaptor. 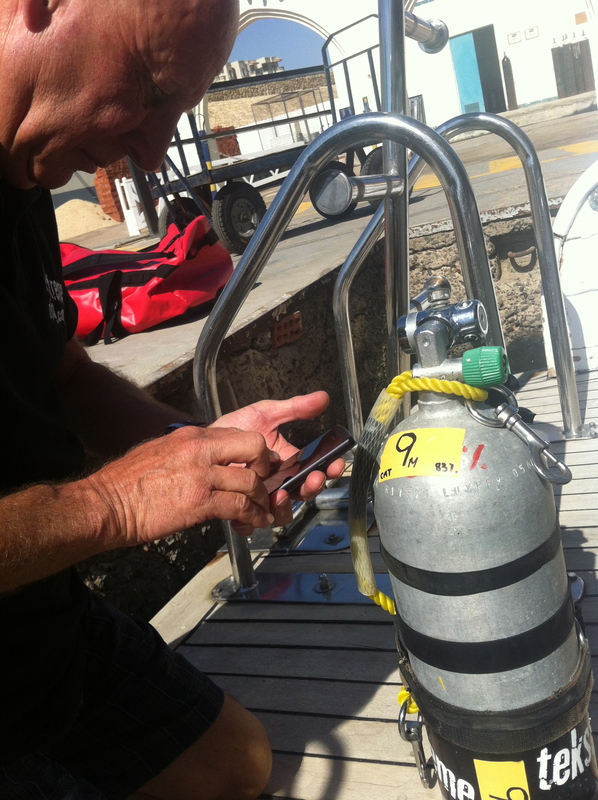 So remember if you have a M26 regulator check with your diving operator what the options are before you travel! So finally summer time arrived and our long awaited expedition to explore the wreck of the Maidan could begin. 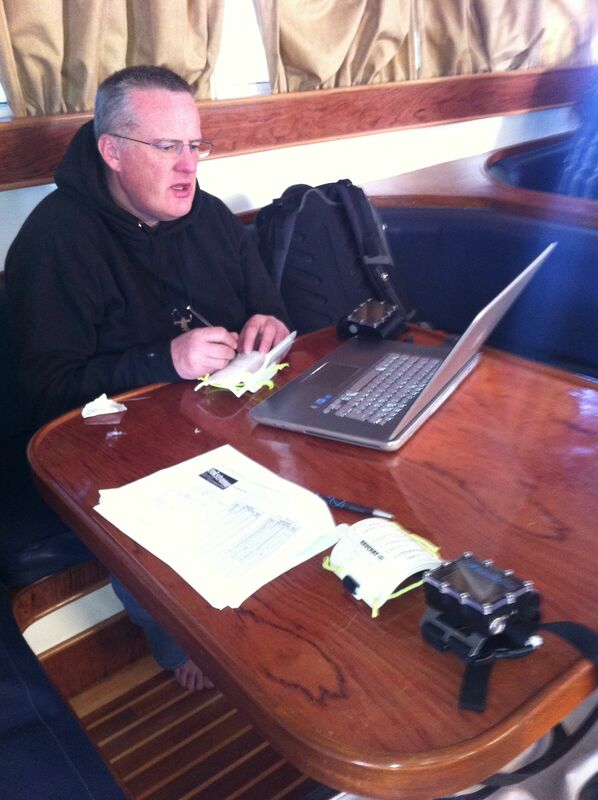 The mission of the trip was to comprehensively map the wreck of the SS Maidan. Built by W Hamilton & Co, the Maidan was launched in March 1902 and officially described as Steel Screw Steamer. A very large ship for her day, She was 152.4m long, 17.7m wide and had a draught of 10m. 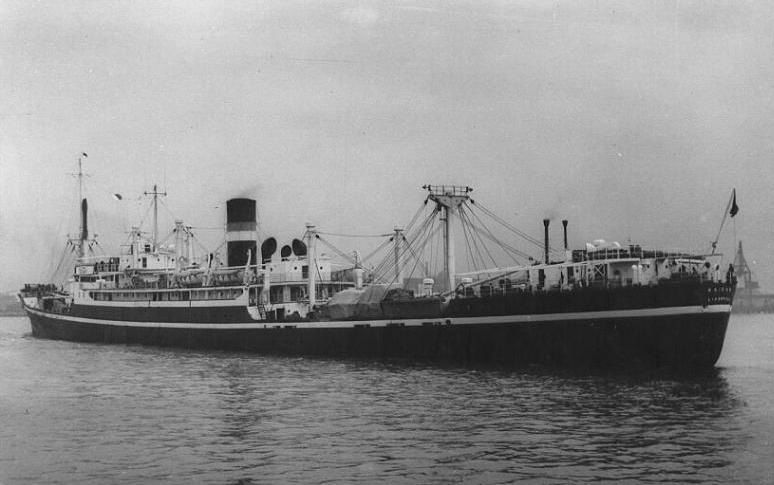 The Maidan was owned and operated by T & J Brocklebank and had been used exclusively on the Eastern Trade routes, operating between European Ports and India. 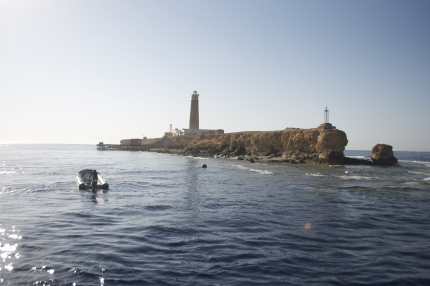 It was in 1923 that a navigational error resulted in the ship hitting the south side of the Rocky Island towards the southern end of the Red Sea. The wreck was discovered a few years ago but due to its depth and remote location it has not been dived so much and as a result there is not much information available for an accurate description of its current condition and layout. There were a few pictures available on the web with a brief description but nothing in more detail. Hence, our expedition. 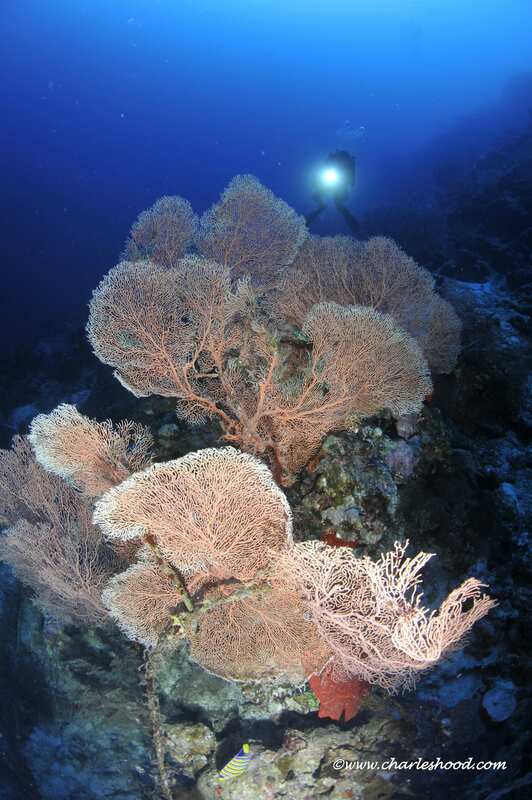 This trip is quite a unique expedition and run fairly in-frequently due to the experience level of the divers required. The shallowest part of the wreck is at 83m going down to a maximum depth of around 125m. It goes without saying that the trip is only available for Advanced Trimix divers. 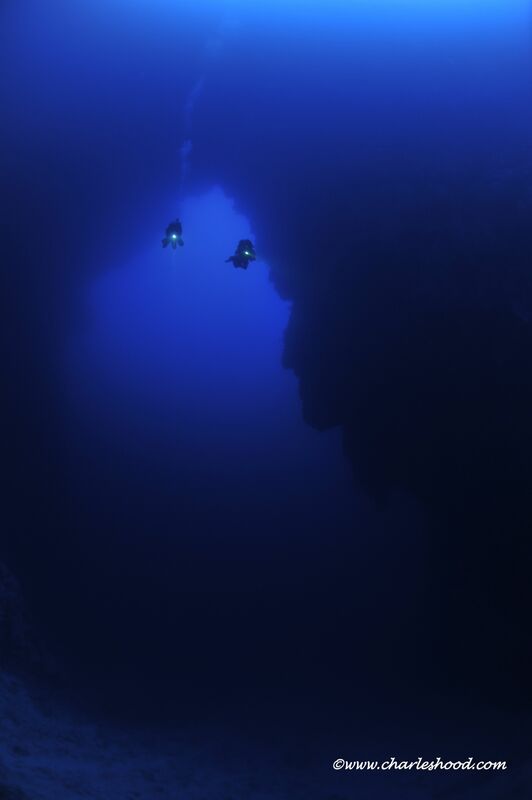 Realistically when diving to these depths the trip it is more geared at the Closed circuit rebreather divers. Open circuit divers can dive the wreck, and we in fact had two open circuit trimix divers on board, but the limitations of the gas that you can carry which has a direct affect on the bottom time possible becomes very apparent as does the gas bill for helium! 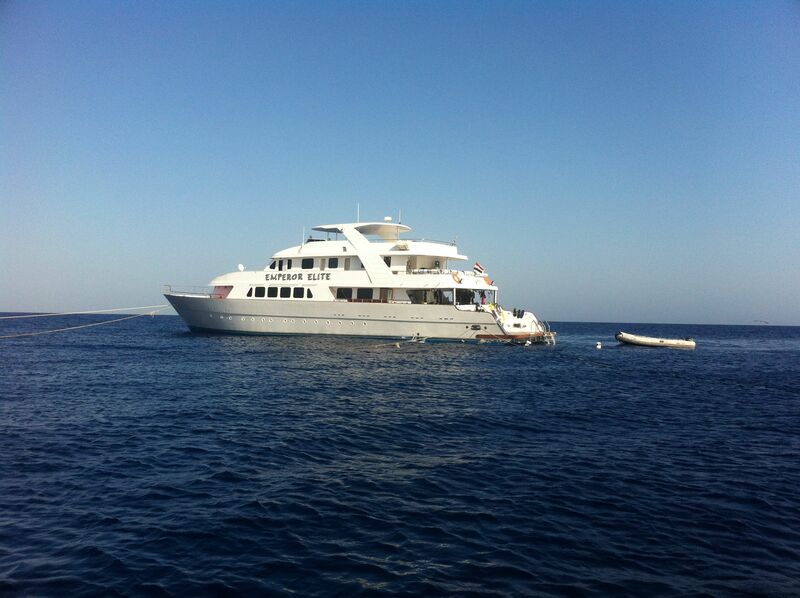 Our floating luxury hotel for the week was provided by Emperor Divers in the form of their platinum boat called Emperor Elite of which we boarded in Port Ghalib marina, Marsa Alam. The 38m long wooden safari boat provided a spacious dive deck area for the multiple large cylinders of oxygen and helium on board, lots of tubs of sofnolime, as well as a twin piston booster pump and blending panel for custom mixing all desired gases. After a local check dive to make sure all equipment and CCR units were functioning correctly we headed further afield to make our first decompression dive at the well known Marsa Alam reef of Elphinestone. Tucked underneath the southern plateau there is a spectacular feature that we refer to as the “Arch way”. It is a passage that can take you underneath the plateau from east to west or vice versa. Due to the large size of this passage way it looks like a giant archway on approach. The current on the day was fairly mild and so it was a nice gentle swim through the arch, but please note the current in this area can be quite strong and sometimes the arch way may not be advisable! 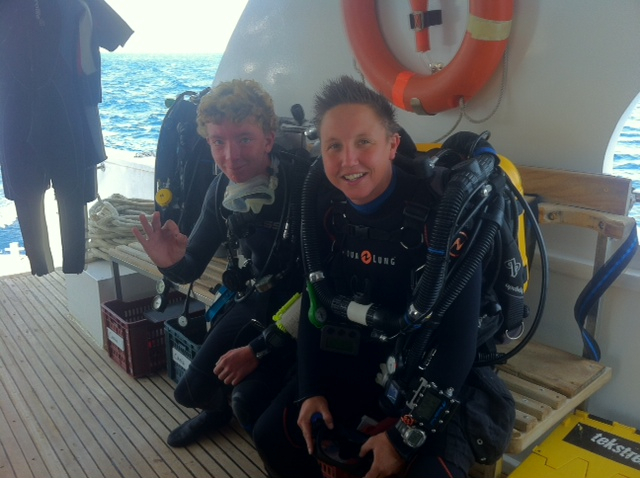 Once all divers we back on board we began our journey to Daedalus Reef. The weather conditions were perfect and it made for calm sailing into the night. Once the sun was up it was time to go and find the wreck and get the exact GPS coordinates so that all the divers could be dropped directly onto the wreck. The rough location of the wreck is no secret and not rocket science to figure it out when looking at the journey the ship was taking when it came to meet its end, however, to get the exact position takes a bit of experience and knowledge of the reef. Myself and Chris Armstrong were the ones to go to pin point the exact coordinates of the wreck. From my previous trips to the wreck and with a good current check in multiple places I managed to drop Chris into the water relatively close to the wreck and within 5 minutes he gave a pre agreed signal that he was now on the wreck. Perfect, with a handheld GPS with me in the zodiac we now had the exact coordinates ready to drop the divers. The sea conditions were flat like a lake and the currents were pleasantly mild which made entry, descent and diving along the wreck nice and easy. Even though the current was mild you will still find that where the current hits the reef there will be what we call a split. A split is where the current will hit an obstacle and then go in two directions around that obstacle, in that area you will find very little current but more importantly you will also find pelagic marine life. Traditional here the pelagics will be in the form of Hammerhead Sharks. The divers were not disappointed. At a depth of around 65m during the descent some of the divers were lucky enough to have a group of 4 hammerheads swimming by them. The divers who were already on the wreck were also pleased to also have Hammerhead sighting. The wreck of the Zealot is quite broken up due to its impact to the reef with a debris field covering a wide area, lots to explore. There has been confusion in the past about whether this wreck is in fact the Zealot or if it was a different wreck called the Daccar. 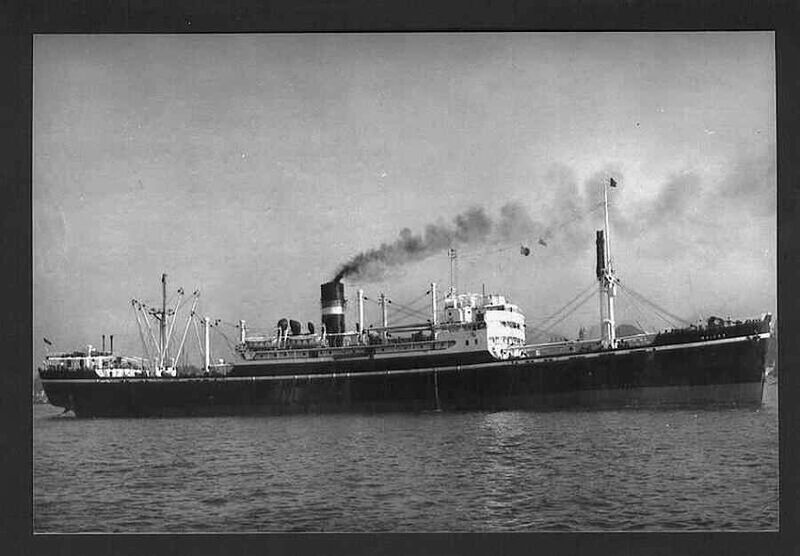 The Daccar was a passenger ferry, the Zealot was a cargo ship. Upon diving the wreck the guests were swimming past parts of locomotive and railway tracks which would definitely not be typical of a passenger ferry, plus the ferry would have been considerably larger than what was dived. Once all divers were up and all pictures analysed, it was concluded that the wreck on the reef in this area is for sure the Zealot as other people have previously stated. This means the Daccar is still to be found! That’s a mission for the next trip! After a overnight sail travelling down south we eventually arrived at Rocky Island. The weather conditions were still very favourable for us and we were the only boat at Rocky Island. Because of the depth of the wreck, the long decompression times that were going to be done and the fact we were going to be there for a few days we put a permanent shot line directly to the wreck from our boat. This made it easy for descent (no reason for anybody not to find the wreck! 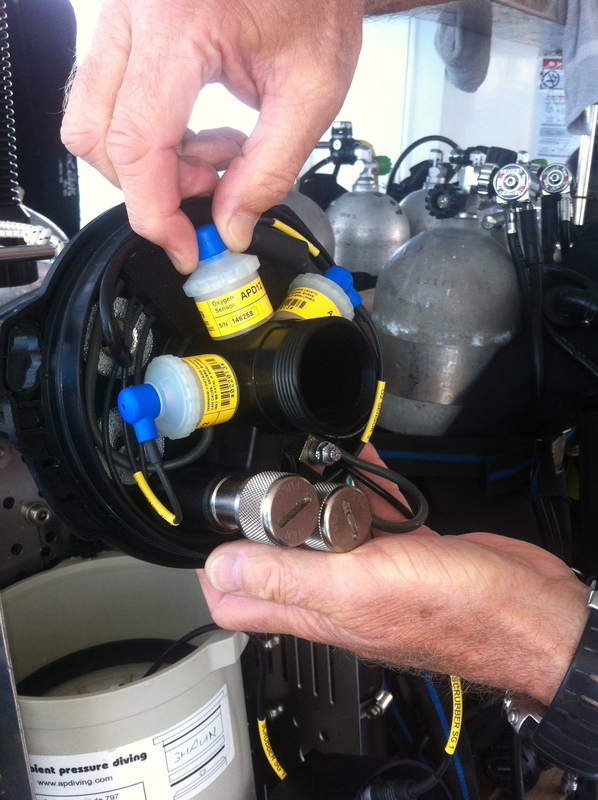 ), but more importantly it gave the divers easy access to emergency gases if required. We staged various extra bailout gases on this shot line from 40m and shallower, so if anybody had an issue they knew where to get gas from easily. We also then hung a deco station from this shot line. This would provide the divers who wanted to decompress on the line a little bit of extra space. Hang bars were located at 12m, 9m and 6m to spread the divers out. Over the next three days at Rocky island are mission was achieved. 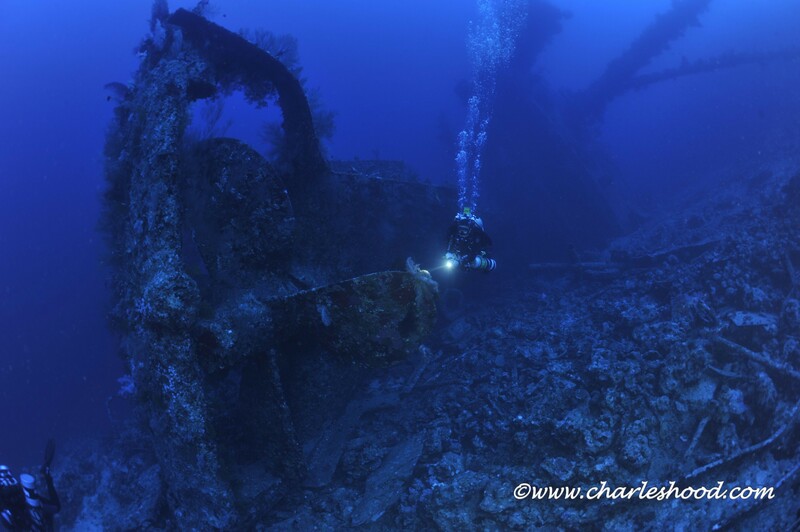 The divers had some awesome dives exploring all parts of the wreck. Most CCR divers we diving with very rich helium mixtures to offset the potential narcosis so that they could enjoy the wreck and remember it afterwards! Dive times were on average between 3 – 4 hours! Good job the trip was in the summer time to make use out of the warmer water temperatures, and the bonus of no drysuits so people could pee freely! 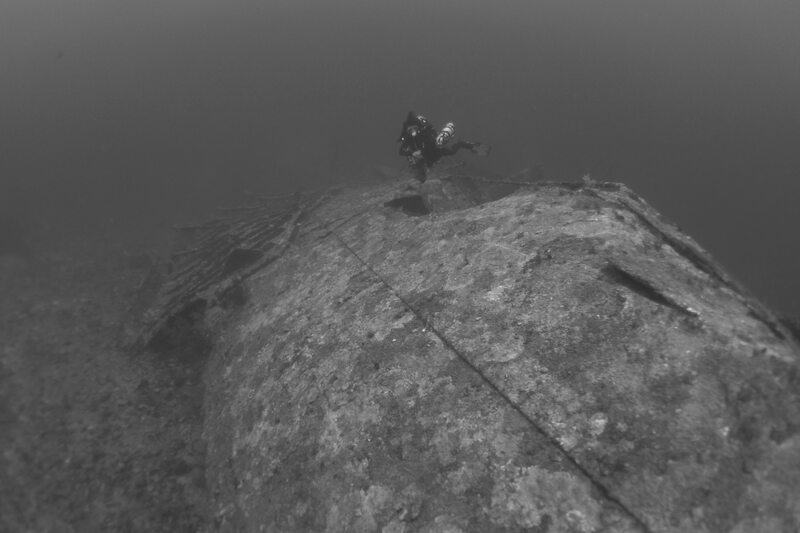 A huge, huge thanks to John Rochester for taking pictures from all over the wreck and his magical computer skills to piece those pictures together to give what I believe is the first ever photo of the wreck almost in its entirety. Sadly it was then time to leave Rocky Island, say goodbye to the Maidan for now and begin the journey back to the north. The weather conditions still held out and we have a very smooth sail back up to Elphinestone reef. A brief pit stop was made for the chef to produce a massive spread of food and BBQ for all the guests (don’t worry it was an electric BBQ not one with real flames) After everybody was fed and watered we continued the journey. We arrived at Elphinestone early in the morning for our final dive to hopefully, see some more sharks before the trip ended. Ephinestone did not disappoint. After exploring the southern arch of Elphinestone on the first day of the trip we now headed to the northern plateau to see what we could find. There was a current running across the plateau on descent but as soon as we down alongside we had the shelter to then swim further up towards the north. After only a short period of time a couple of Hammerheads came to say hello followed by two grey reef sharks circling in and out. A great end to a great trip. Tekstreme would love to thank John and Janet Rochester for their drive to make this trip happen and for the fantastic photos from the trip. But of course we cannot forget Barry Woods, Chrissie Tyson, Dave Murphy, Dave Norton, Geoff Bridges, Shaun Fox, Norbert Miskolczi, Mel Ford and Ross Finlay for being a wonderful group of experienced divers to spend a week with. You are all more than welcome to come back and join us at any time. 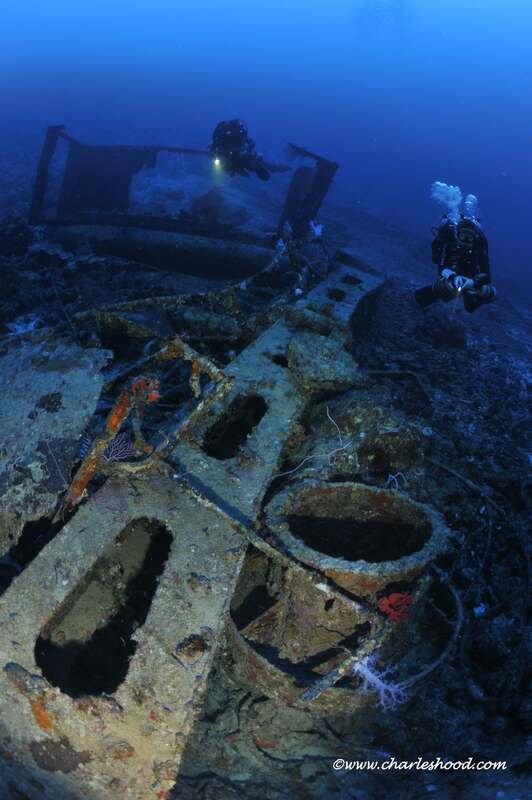 The next big expedition being planned is a northern technical expedition to feature the wreck of the Yolanda in Ras Mohammed, and no we don’t mean to see the toilet seats! The trip dates provisionally we are looking at is June 20th – 27th 2014. Contact Tekstreme@emperordivers.com for more details. How I got to 100m by Craig Chamberlain. 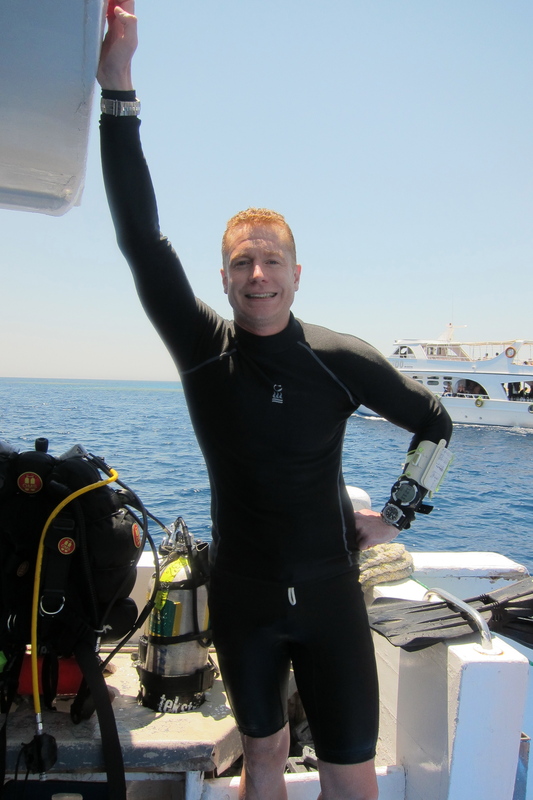 I started technical or “tech” diving at the age of 15 with the TDI Advanced nitrox course. Then for the next three years i was counting the days until my eighteenth birthday so that i could do decompression procedures and actually be trained to make accelerated deco dives to 45m. It was not long after taking this course that my hunger for slightly deeper dives grew. 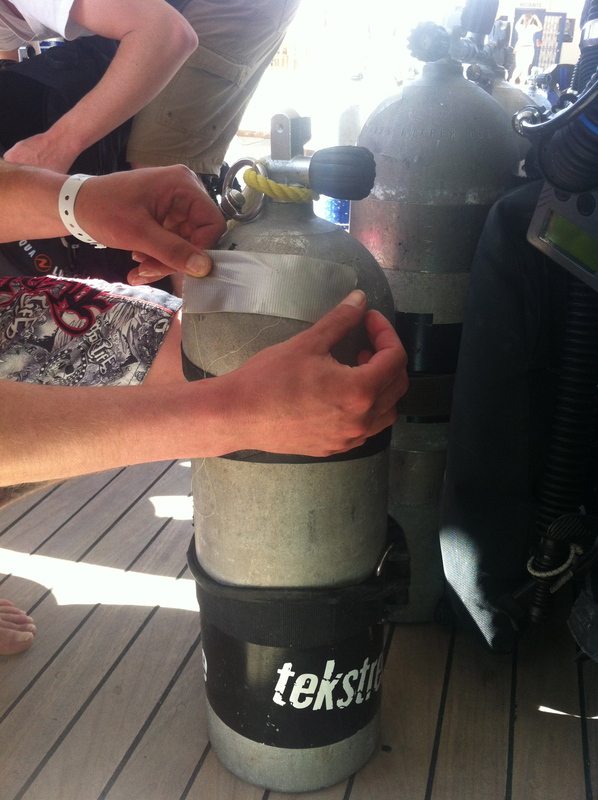 So i then took the TDI extended range course to learn the procedures for diving air to a maximum depth of 55m. As a deco procedures diver i could have progressed directly to a normoxic (approximately 21% O2) trimix diver but decided that learning the techniques for deep air diving first would make me appreciate the effects of helium more when i came to be a trimix diver. After gaining some experience at my extended range level I found the Tekstreme Diving website and facebook page. 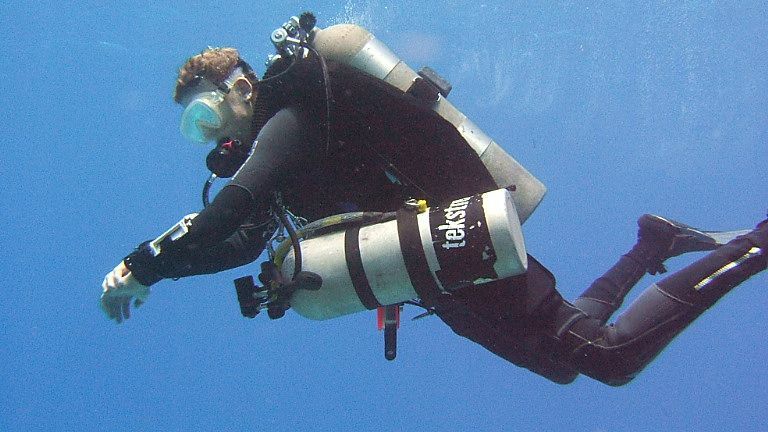 Seeing the photos of guests making deep and long tech dives made me want to dive with this company. Reading through the facebook status on the Tekstreme page made me want to dive with Tekstreme even more. I emailed Cat Braun (Tekstreme general manager) telling her that i was moving to Hurghada and what my plans for the future in terms of technical diving were. After an almost instant reply i was certain that this was the place that i wanted to continue my adventure into the depths of the Red Sea. 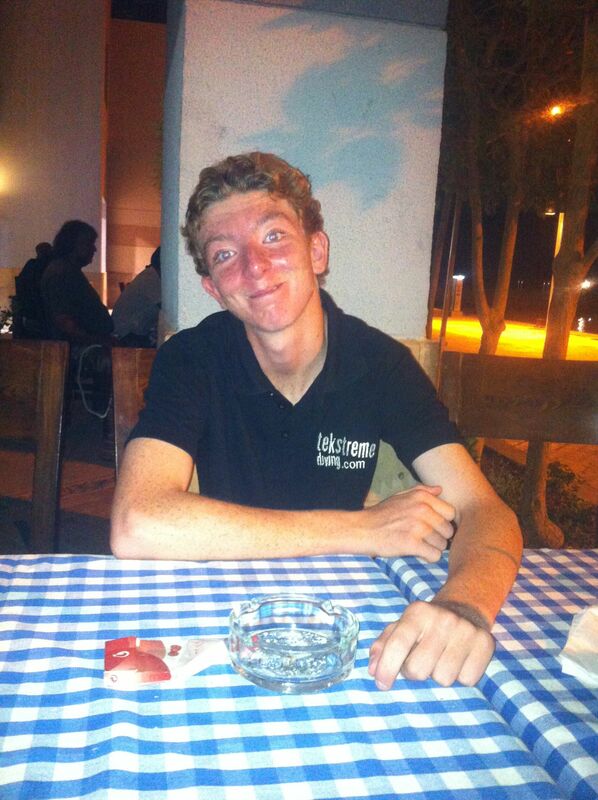 The day after i arrived in Hurghada i had arranged to meet with Cat to discuss what i was going to do. The plan was for me to do a couple of days pleassure tech diving to get back into the swing of things and to brush up on my skills since it had been quite a while since my last planned deco dive. 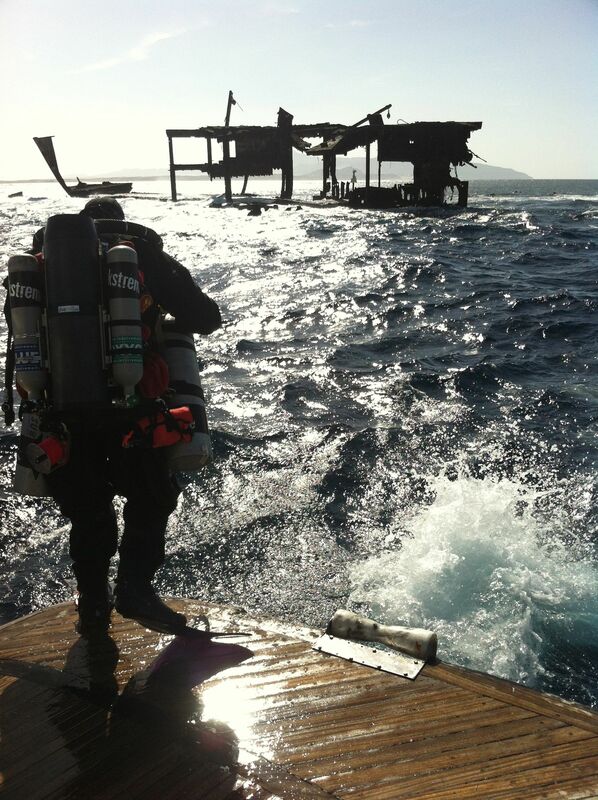 The days went well and we did some nice dives in the 45 to 50m range. 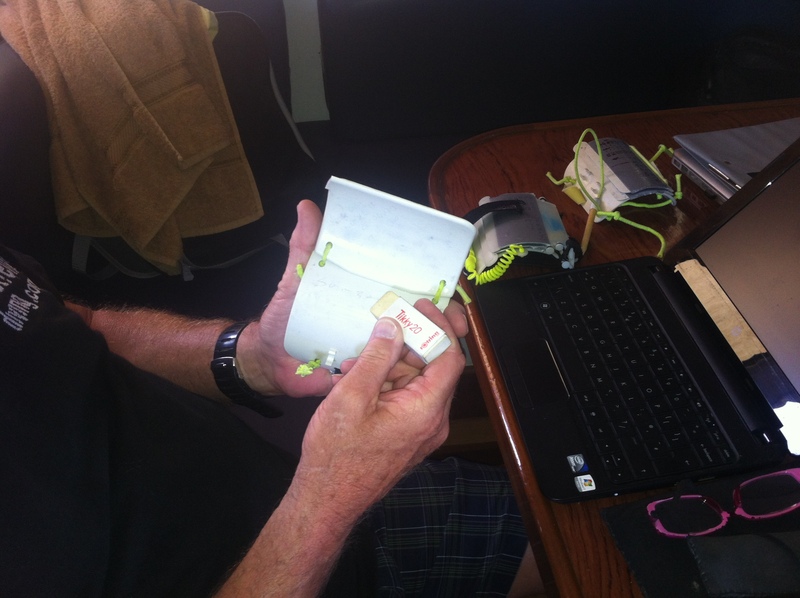 When Cat arrived back from her technical safari i was to begin my TDI entry level or normxic trimix course with her. 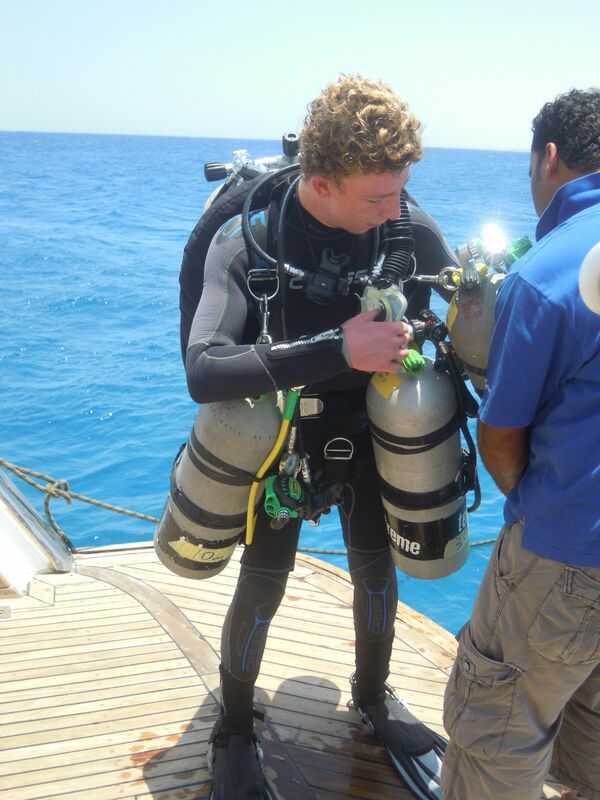 This is when i think that i actually realised what proper tech diving was all about. A 5 day course that turned into a 7 days course due to making sure i was fully ready for this level ended with a visit from a 3 meter long thresher shark on a 60m trimix dive on the southern side of Abu Ramada island. When Cat gave me the signal for a shark i thought that she was trying to trick me (again) into busting my maximum depth like i had done the previous day. Now I was a certified trimix diver and what a feeling that was. It had been a dream of mine for a long time now that had finally came true! On my days off from work (PADI Instructor) I would contact Cat and arrange dives with her and fellow tech guide Shaun Fox. After around 15 normoxic trimix dives i was back in England visiting family when i recieved and email from Tekstreme offering me the chance of a lifetime. A technical safari to the Brother Islands!!! 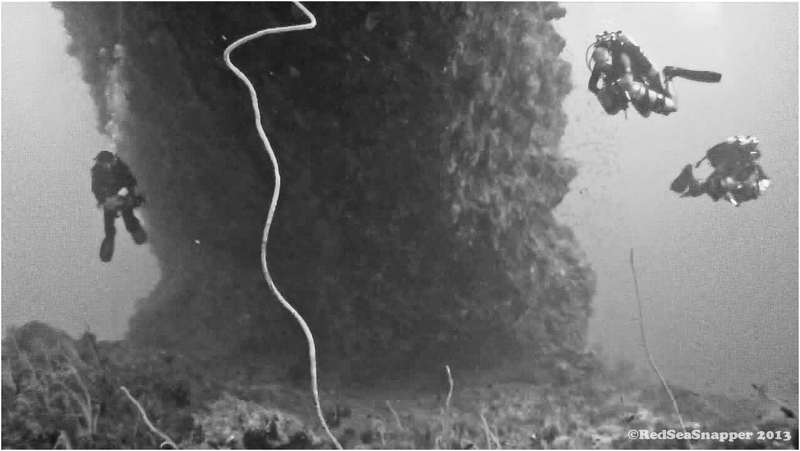 To dive these deep coral walls and the wreck of the Numidia had been an ambition of mine since I had heard about them. And just to make things even better i was offered the chance to make the TDI Advanced Trimix course on the safari!! Of course i jumped at this chance. Back in Hurghada, my first day was spent packing for the trip and counting the hours until boarding Emperor Elite, the platinum class safari boat that would be our home for a week. 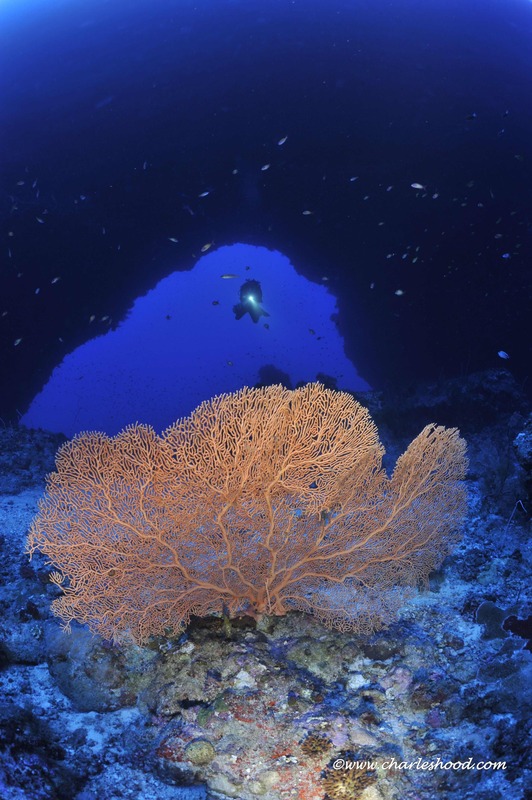 The first dive of the trip was at a local reef in the south of Hurghada called Ras Disha. For my diving buddies on the safari this was to be their check dive, being the first dive of my course, for me it meant three things: SKILLS SKILLS SKILLS. After surfacing from around an hour under the water doing SMB deployment, deco tank removal/replacement, unconsious diver lift, breathhold swims etc we set off futher south to safaga to dive the famous Salem Express. For some people this is a dive to sit out due to the amount of lives lost in the disaster. 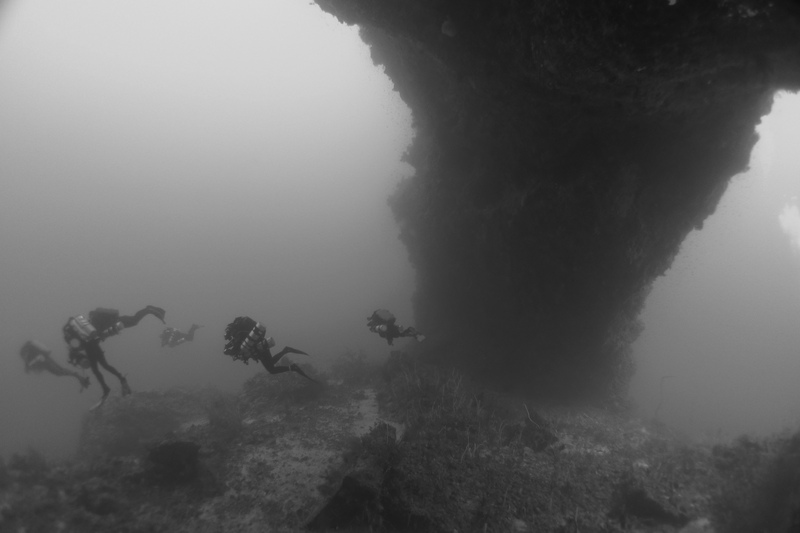 For me diving this wreck meant a lot, it was a sort of way of acknowledging what had happened. Overnight we moved to Big Brother island were i would be doing the first real deep dive of my advanced trimix course, I was so excited but at the same time apprehensive for the dive. 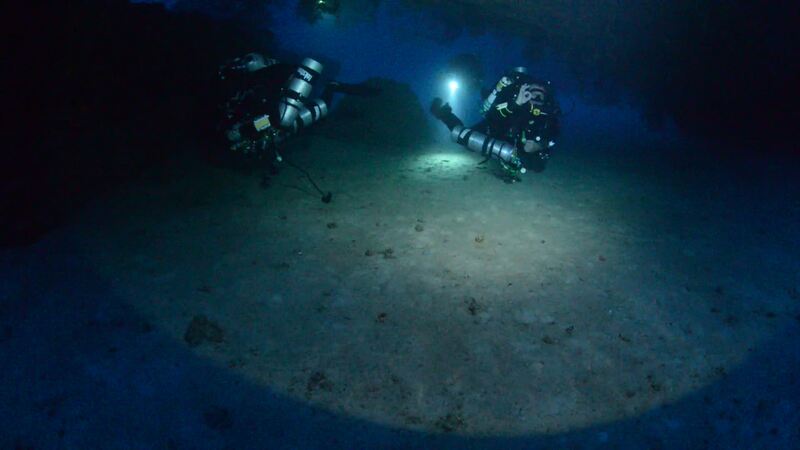 My instructor Chris Armstrong and I had planned for a 65m trimix dive on the wreck of the Aida. After entering the water from the zodiac this is when i realised what diving at the brother’s really meant. As we descended the current was unbelievably powerful. In our 25 minute bottom time about 5 was actally spent on the wreck due to the current. But what an amazing place to dive, the coral wall rises from hundreds of meters covered in hard and soft corals of every colour imaginable. The plan for the following day, an 80m hypoxic trimix dive that required a travel gas (i had been carrying one for the previous dives for training purposes only.) The dive went surprisingly easy with the only exercise being buddy breathing an 80% O2 deco gas and putting up an SMB at the same time. My instructor Chris came back to the boat minus 1 wrist slate, so I left emperor elite at the end of the trip minus 1 wrist slate and a few quid down in beer money. We moved to the smaller of the Brother Islands next for our last dive at the islands which was planned as a 90m dive. This was probably the second best dive of the course, the best being the final one which i will talk about later. During out 15 minute bottom time we had our shark sighting that we had been waiting for, a white tip reef shark passing by. After removing and replacing all of my deco tanks at 90m we only had a few minutes left before we began our long ascent. This is the nice thing about decompressing in the Red Sea, we actally have nice fish and coral to look at as surposed to a boring old shot line! 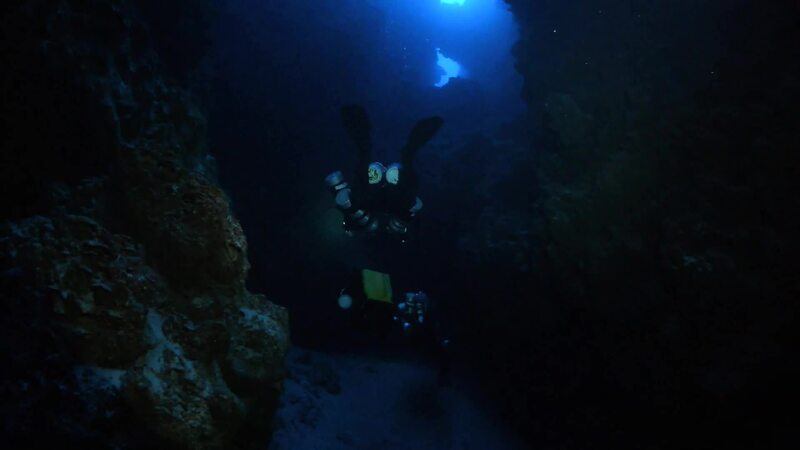 The last dive of my course was at another dream divesite. Elphinstone. It was to be my deepest dive so far. 97meters. With a 13 minute bottom time the dive seemed to go so fast and before i knew if i was in a zodiac on the way back to elite. 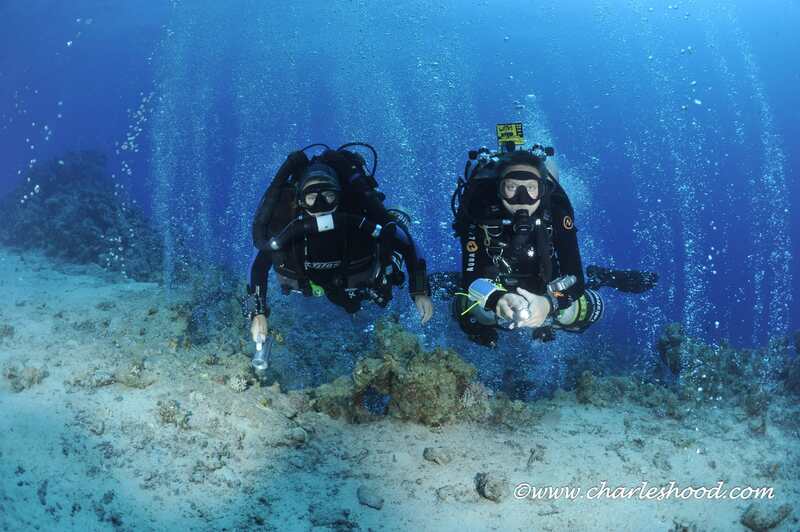 On the way back to port ghalib we did a couple of shallower pleassure dives in the Marsa Alam area. On the last night of the safari everyone ended up in Wunderbar sharing their deep fishy tales. This was one of my best ever diving experiences and one that i will never forget – thankyou Tekstreme!!!!! Back in Hurghada a month later i arranged three days deep trimix diving with Cat, the first was an 80m dive at Abu Ramada Cave. When we reached 80m after a prolonged descent due to Cat’s rebreather misbehaving, we had a Hammerhead shark swimming towards us, after only a couple of seconds it had dissappeared into the blue. Another one of my dreams had come true. The next day we planned a 90m dive at Small Giftun, a really nice relaxing dive and we discovered an unknown wreck embedded into the reef. So, today we were hopefullly going to Shaabrugh Umm Gammar if the wind would hold off to dive the wreck of the Gulf fleet 31 wreck. This was to be my first dive to 100m. As we made our way up to the north east side of the reef on the boat my heart was pounding with adreneline. Then the captain gave the signal for us to enter the water. 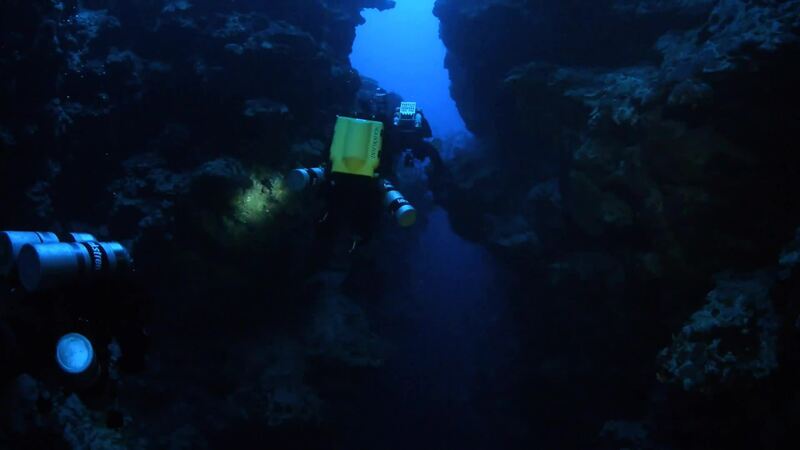 We descened down the side of the reef after our bubble check at 6m. 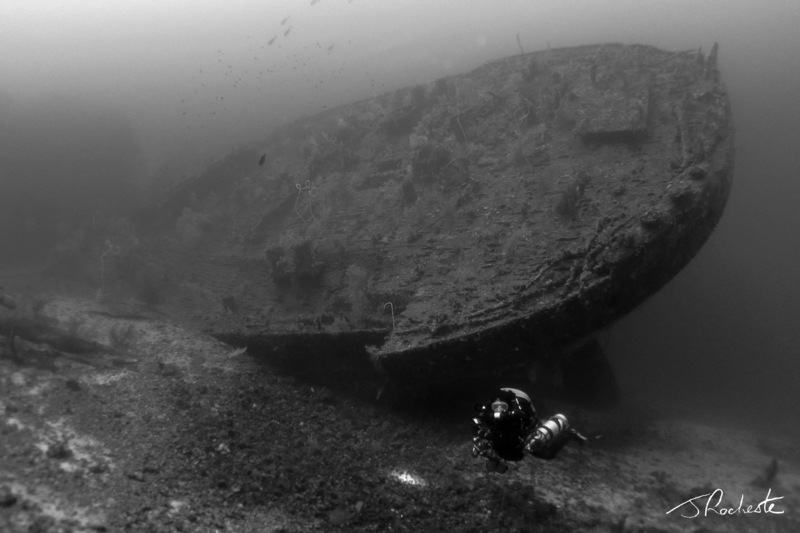 At around 75meters the wreck started comming into view. 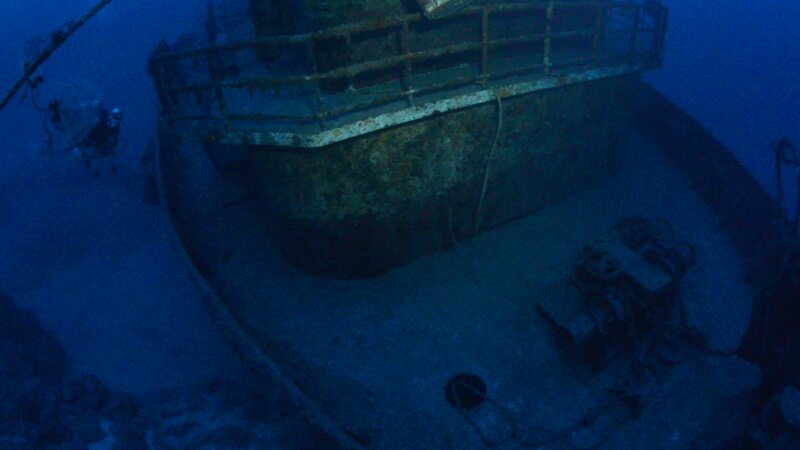 I was amazed how “clean” this wreck was, free of lines and damage. We swam down the port side of the wreck at aound 98m. Cat asked me if i wanted to swin under the hull and of course the answer was yes. It was just as i started to swim underneath the hull that that magical three figure number appeared on my computer. 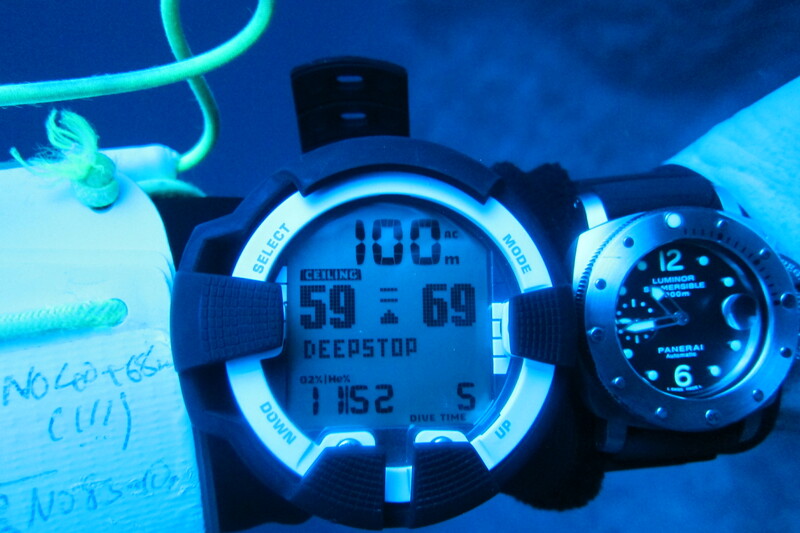 That was it i was now at 100m, 330 feet, 3937 inches underwater. Heading back up, following the contour of the wreck our 17 minute bottom time came to an end. I waved goodbye to the wreck and we bagan out 68 minute ascent. What a brilliant dive and an amazing expierence! So Tekstreme have just got back from another amazing technical expedition to the Brother Islands and already we look forward to the next! In under four weeks time we have a sell out trip to visit the mighty wreck of the Maiden situated in the southern Red Sea off Rocky Island. Not a trip for the faint hearted. 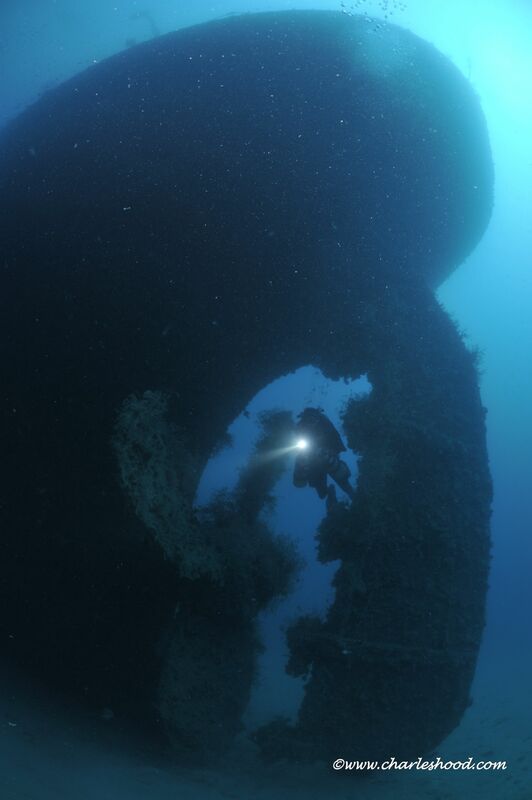 With the shallowest point of the wreck being at 90m and the deepest part at around 120m it is a dream wreck for all experienced advanced trimix divers. Our specific Technical expeditions are very much in demand with availability selling out earlier and earlier. The next technical safari where we have available space will be to the northern sites of the Red Sea. This is a very popular trip that we run at the start and of each year and never fails to please. The trip will be run on the platinum boat of the Emperor Fleet called “Elite”. 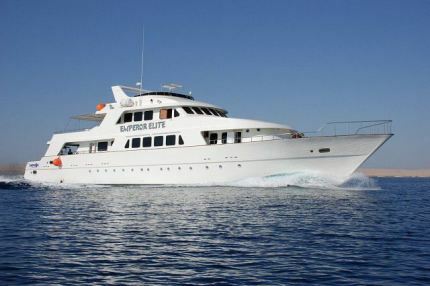 You can find more info on the boat by heading to http://www.emperordivers.com/liveaboards-fleet-elite.php. The dates for the trip are February 21st – 28th 2014. 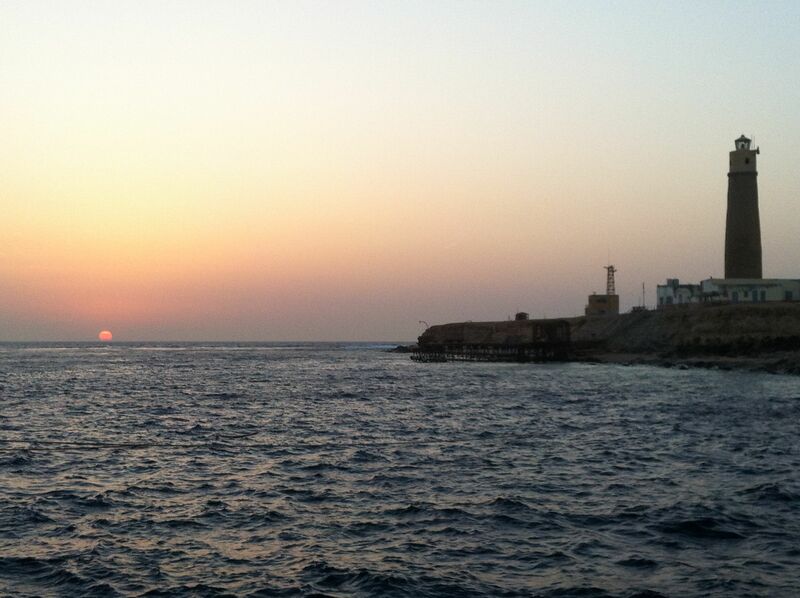 The trip will be departing and returning from the port of Hurghada. Contact us now to take advantage of this amazing deal. So holiday time has arrived and you have a week of technical diving or a technical course booked. With the airlines these days clamping down on weight allowance here is what we recommend as the Top 10 items that you need to fit within your quota. 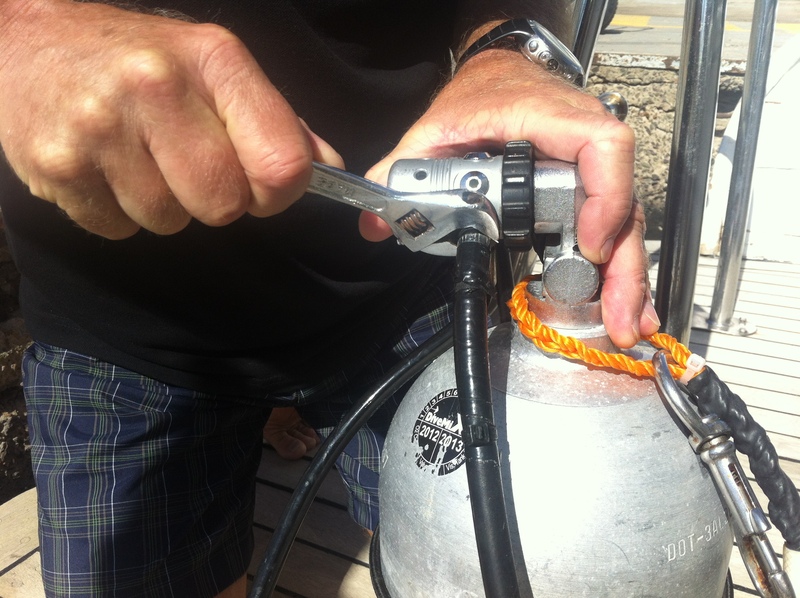 Being able to plan your decompression dive is a critical part of your diving day. There are many varieties of deco planning software available on the market for desk top computer, I pad, smart phone or Android. Some programmes are free to download but may have limited features; others are available for a small fee. Examples can include V Planner, MV Planner, Baltic Planner, Deco Planner, Z Planner, Pro planner. Have a few practise runs on your new software before you arrive for your diving to ensure you have a basic understanding of the program. After analysis of your gas you will need to clearly mark and label your cylinders with their contents and the maximum depths of the gas. Marker tape like duct tape is a perfect option for this. Thick permanent marker pens are essential for clear labelling. Nothing cleans the pencil off your slate better than good old fashioned nail polish remover. A small amount goes along way so just bring a small bottle and it will last the week, or alternatively go back to school and bring a pencil eraser! Another option is to use marker tape on your wrist slate and write the plans on top with a permanent marker pen. Be prepared for most equipment related issues by having a few specific tools in your box. Its handy to carry with you a set of Allan keys, a couple of small adjustable spanners, a small screwdriver, a cutting device of some kind, and a handful of cable ties go along way. It does not matter how many times you check the battery life in your computers, rebreather electronics or cameras, you can guarantee that at some point a battery will die at the most inconvenient time. Be armed and ready with spare ones to hand. 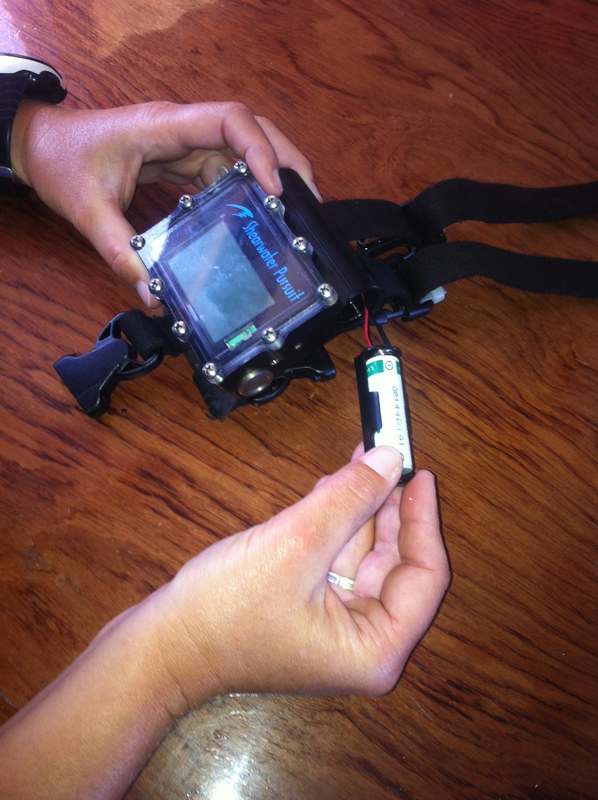 In some countries specific rebreather batteries may not be readily available so be organised and bring a few with you. Attention all rebreather divers out there, oxygen cells are not that easy to come by once you leave home, especially if travelling abroad! Even if you have new cells for your trip take a spare one or two just in case. Worst case scenario you wont need to use them but your CCR guide may be more than happy to buy them off you to lighten you load on your return leg home! Most of these days most mobile phones can provide a calculator facility and it is a very useful tool to have around. Each time you need to work out the maximum depth of a gas, or your breathing rate, or gas volumes for a few examples a calculator will come in very handy. For sure if you are making a technical course your instructor will be throwing calculation questions at you left, right and centre, so be armed and ready! 9. A Kindle or a few books. After a longer decompression dive there is nothing better than off gassing with a good book or looking at the back of your eyelids in the sun! 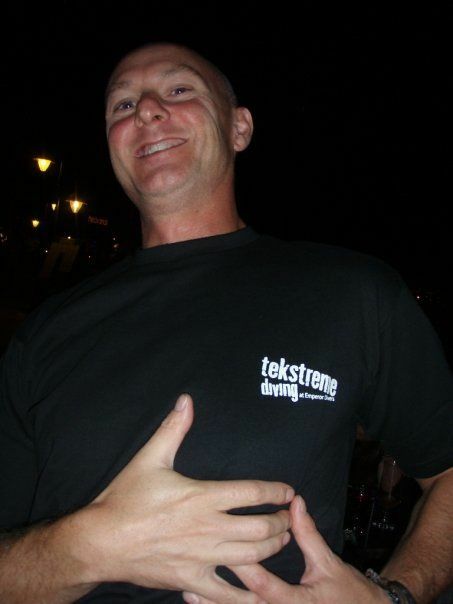 Tekstreme have recently had a visit by returning guest Johan Eriksson. 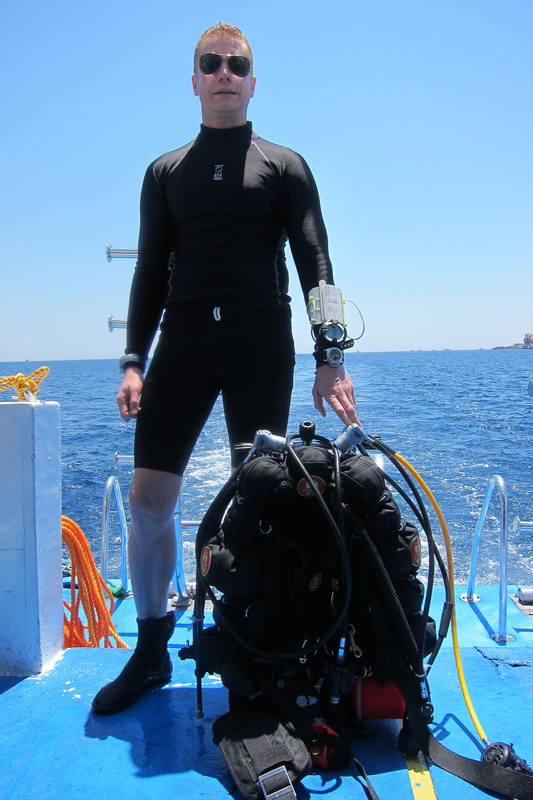 Johan has done all of his technical training with us and it was such a fantastic day when he made his first 100m dive. Here is a small blog by Johan on this remarkable day. “A little note to say I dived to 101 metres today along the reef wall off Shark Reef, one of the most amazing dive sites in the world, at the very tip of the Sinai peninsula in the Ras Mohammed marine park. The wall extends down to about 800 metres which is a little bit too deep. It takes about five minutes to sink to 100 metres – and about 70 minutes to get back up, mainly because of the decompression requirements. It was a little bit darker at 101m but everything is still clearly visible and my camera took good pictures without any need for a flash. The water was exceptionally clear, even more so than further up; however it was a bit chilly at 23 degrees vs 29/30 closer to the surface. Swimming around at ~100m felt almost like a deep recreational dive; the gas, 11% oxygen, 53% helium and the remainder nitrogen, is calibrated to delivering the equivalent amount of partial pressure of nitrogen, and hence nitrogen narcosis, as you get from breathing air at 35-40 metres, so this isn’t so surprising – however the water pressure, at eleven times the pressure just under the surface, wasn’t very noticeable. The gas we used doesn’t sustain life on the surface so you need to use one of the decompression gases on the way down, which adds a bit of drama, especially when you forget to open the tank. I had been to 88 metres at the same place before, and yesterday we dived to 85 metres inside a deep underwater canyon, and both dives felt more peculiar; in the first instance for having been on a training course, with the instructor (Chris) looking for errors (and finding them), and in the second because of the 50 metres of narrow canyon walls with arches, boulders and swim-throughs above. Swimming through a narrow tunnel at 75 metres is a bit spooky. In terms of wildlife, below about 55 metres all I saw was one fish, in addition to my two fellow divers; Chris Armstrong, an excellent instructor at Tekstreme, and Ron Prowse, who also happens to be a technical diving instructor. Many thanks Johan for that in depth description of your dive i am sure many others would love to have the same opportunity to join the 100m club! This is more than likely the final blog for 2011! I don’t know about anybody else but this year has been a dramatic year with the very highest of the highs, and the lowest of the lows! It certainly has been a roller-coaster ride of a journey, and I pleased to say that we have come out the other end smiling. 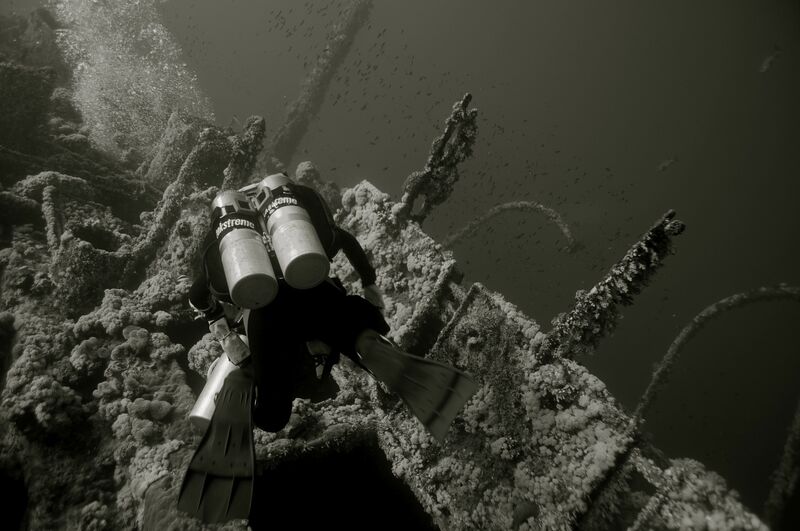 Technical diving has proved itself to be a true addiction that keeps people coming back to Egypt for more. We have to say a huge thankyou to all of existing guests who have been out to visit us this year, all of the new friends we have made. Without you guys this year, who knows where we would have been or not been! Also, huge thanks to all of the staff here at Tekstreme; Chris, Sarah, Mark, Duncan, Steve, Shaun, James and Claire. It has been a tough year for everybody, so I really want to say a massive thankyou for your commitment, professionalism, and patience to see these tough times through. I wish you all the best for a Happy Christmas and hope that 2012 proves to be a good year for everyone. P.S Even Sir Stelios Haji-Ioannou has found Tekstreme! !